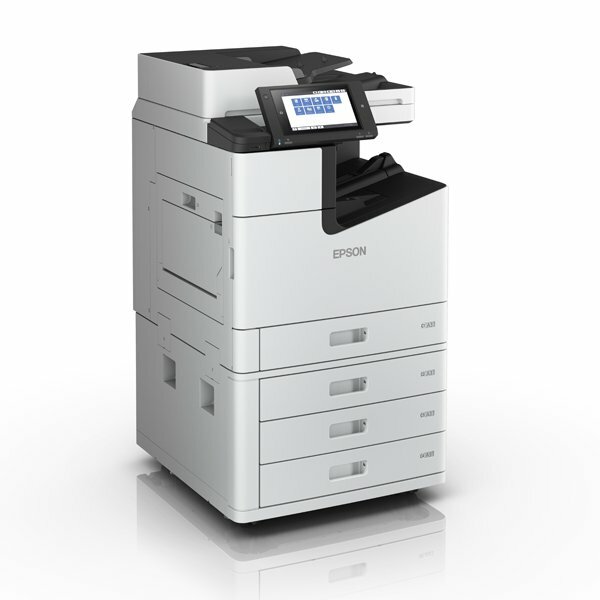 This environmentally-friendly departmental colour A3 business MFP reliably prints high-quality documents at very fast 75ipm speeds. The WorkForce Enterprise series uses up to 88% less energy compared to lasers1. With low waste supplies and a simple working mechanism the WorkForce Enterprise reduces the environmental impact of print by providing a low power solution with fewer supplies required. Enjoy a high paper capacity of 5,350 sheets, and print up to 100k black or 50k colour pages without replenishing ink.